"What is it in your professional life that you care most passionately about?" 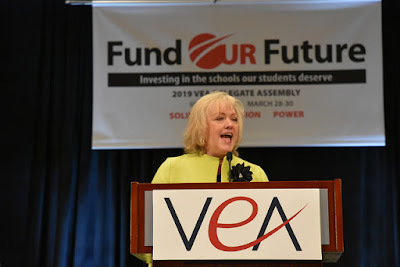 VEA Executive Director Dr. Brenda Pike asked the nearly 600 DA delegates as the convention began to wind down Saturday. "Each of us must find our own answer...and whatever it is, we can build the power to accomplish it together!" While some may be uncomfortable with the word, she went on, it's really "only the ability to act. 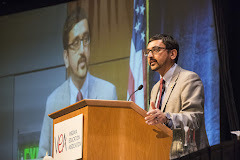 And power undeniably exists--why shouldn't we have it, based on the values that bring us together?"